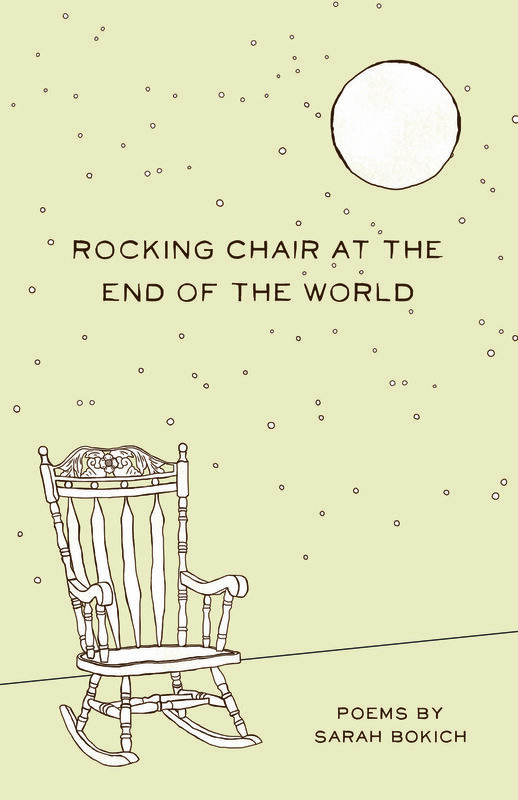 Sarah Bokich’s collection Rocking Chair at the End of the World invites the reader to share an imperative and deeply human journey to the nebulous intersection of bereavement and renewal. In poems such as “The Visitors” and “Trading the Animals,” Bokich adopts the personas of a lover, a zookeeper, an infant, and a young mother to study the different ways we find ourselves suspended—between successive phases of life, between dreams and reality, and between the natural and developed worlds. Tender, fierce, and irreverent in turn, Bokich explores our human appetites and frailties in a debut collection that former Oregon Poet Laureate Peter Sears describes as “devastating” and writer and critic David Biespiel praises as exhibiting “a virtuosity of solemn joy.” With a unique blend of lyricism and violence that echoes the work of Sylvia Plath, Bokich struggles to ascertain her roles as a woman and mother, while pursuing a central question: how best to love each other in this world and the next.